Come Visit Us At http://friendshipismagic.org/news/!!! 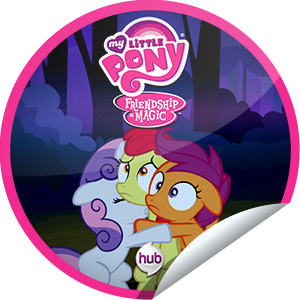 For those who have been collecting the MLP episode stickers from GetGlue, now is your chance to get the latest one. They are free as always. Go here to check out the sticker. New NEW preview pic from the Hub. Animtion : Magic Duel: Let's fighting love. My Little Pony: Friendship is Magic is © Hasbro, all Creations © to their respective artists. Pony. Powered by Blogger.